From the rear side cover: In his inauguration speech of 1861, Abraham Lincoln appealed to "the better angels of our nature" – and there could be no better demonstration of this than the inspiring life story of Bill Bloxham, who defied death and overcame serious injury at an early age whilst flyin with the RAF in World War Two. In the early hours of 23rd December 1942, a Halifax aircraft of 138 (Special Duties) Squadron took off from RAF Tempsford in Bedfordshire to carry out a clandestine mission ordered by Special Operations Executive (SOE). On board, along with seven other crewmembers, was 19-year-old Flight Engineer William Bloxham. They flew at low-level across the North Sea to reach their target – a patch of isolated heathland near the quiet village of Ijhorst in Northern Holland – the dropping zone for their cargo of steel canisters, containing arms and explosives to aid Dutch resistance agents operating in that area. But as they approached the target and dropped their cargo, all hell broke loose as they came under heavy fire from the ground. Bill was hit and rendered unconscious. The next thing he knew, he was on the ground, badly injured and surrounded by jackbooted Germans. Only one other crewmember had survived. Bill was subjected to intensive interrogation, despite having suffered severe injuries and multiple burns, but refused to divulge any information about the clandestine duties of his squadron. Thereafter he became a prisoner of war and in the months and years that followed he underwent a slow process of partial recovery from his injuries in a succession of POW hospitals and camps. Throughout this time, he was troubled by what had happened to his aircraft and fellow crewmembers on that fateful night, but it would be many years before he discovered the whole truth – that he and his comrades had flown into a trap set by the German counter-intelligence organisation Abwehr, who had penetrated the Dutch resistance group. They were by no means the only victims. Over a two-year period this undetected enemy activity was responsible for the deaths of 150 airmen of the Tempsford squadrons and 50 or more loyal Dutch agents parachuted in from England. 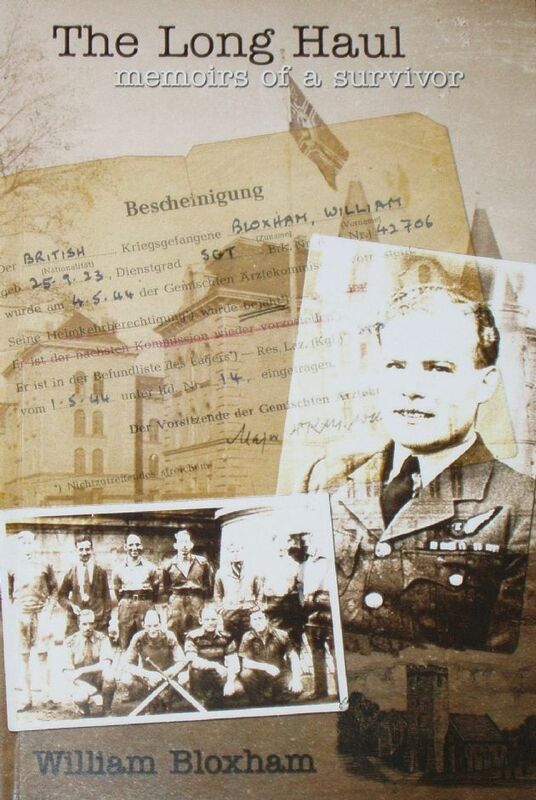 Bill’s account of his wartime activities before and after captivity, and of his later life after returning home to Britain, is interesting, informative and moving, but most importantly it is his opportunity to thank the many people who enabled him to survive and who have enriched his life in the 60-plus years since. The condition of the book is generally excellent. The covers are clean and bright, the spine is tight and intact, and all pages are clean, intact, unblemished and tightly bound. There is an old price (printed) and a small price sticker on the rear side cover.